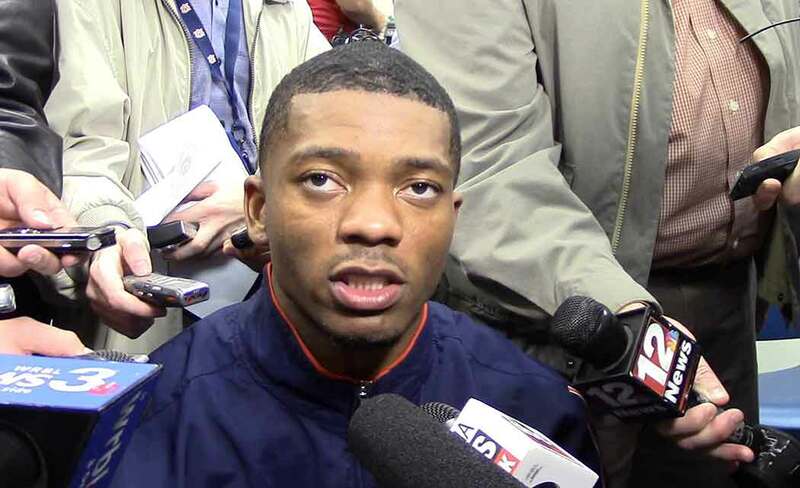 JACKSONVILLE, Fla. (AP) _ The Jacksonville Jaguars have agreed to terms with nine undrafted rookies, including former Auburn quarterback Nick Marshall. Marshall switched positions before the NFL combine, moving from quarterback to cornerback, and should be interesting to watch when the Jaguars hold a two-day rookie minicamp Friday and Saturday. The nine undrafted free agents will be joined by the team’s eight draft picks. The Jaguars also agreed to terms with Marshall’s college teammate, running back/kick returner Corey Grant, as well as Miami linebacker Thurston Armbrister, Syracuse defensive tackle Eric Crume, Oregon State tight end Connor Hamlett, Minnesota State guard Chris Reed, Maryland linebacker Matt Robinson, Pittsburgh linebacker Todd Thomas and Kansas State quarterback Jake Waters. Jacksonville is bringing in three linebackers _ a position of need the team didn’t address in the draft.